Kearsney is a Christian school closely linked to the Methodist Church of Southern Africa. A full time Chaplain directs the spiritual programme of the College, which includes devotions each week day with a full chapel service once a week. Although Kearsney has a Methodist foundation, all denominations and faiths are welcome. 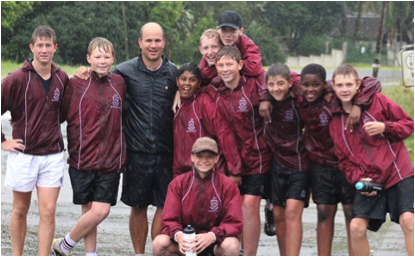 Our boys will spend important years of their lives at Kearsney and we provide a wide range of programmes to facilitate developing the whole man – personal, social, emotional and spiritual growth. We have a full time counsellor who provides career guidance and personal counselling. Every boy in the College is assigned a staff member to be their tutor to oversee their development. 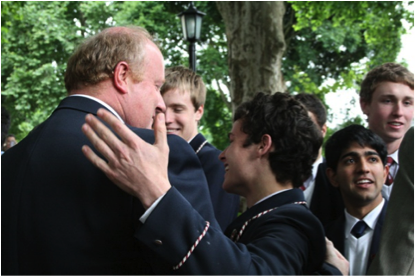 The purpose is to ensure that every boy in the College has at least one adult with whom they can build a supportive relationship. There are approximately 15 pupils in each Tutor Group. Tutors meet with their pupils every morning. The Mentorship Programme is regarded as an integral and vitally important part of a pupil’s life at the College. It is designed to facilitate healthy relationships between senior and junior boys based on respect, and to integrate the junior boys into the life of the College and the houses as quickly as possible. It also provides leadership opportunities for the senior boys, as well as an opportunity to serve. Where possible, each Grade 12 boy is mentor to a Grade 9 boy in his House. A contract is signed between the two, with the Housemaster as witness. To produce a written report in July for his parents, outlining his progress, and to phone his parents in the first term, and whenever else necessary, to provide feedback. polishes his shoes in the evening. Seniors may not send juniors on errands, make them carry books or laundry, or fetch and carry food in the Dining Hall. carry messages other than to staff. Grade 11s undertake certain responsibilities and obligations with regard to the Grade 8s in Haley House. There is no reward and the programme is based on the concept of service. The Grade 11s will be allocated Grade 8s from their own house, and will meet with them on an informal basis every day during tutorship. The aim is for the Grade 11 boy to help his Grade 8 settle into the College’s routine and way of life as quickly as possible and to give advice where necessary. The Grade 11 will write a written report or letter for his mentor partner’s parents by the end of Term 2. He will also make verbal contact in the first term, either by phone or by meeting them at the College. In this way it is hoped that the Grade 8 boys’ transition and integration into their senior houses will be a much easier one. In all likelihood, this mentorship partnership will continue in their Grade 12 / Grade 9 year. The College is served by a Student Council overseen by the Deputy Headmaster in charge of Pastoral Care. 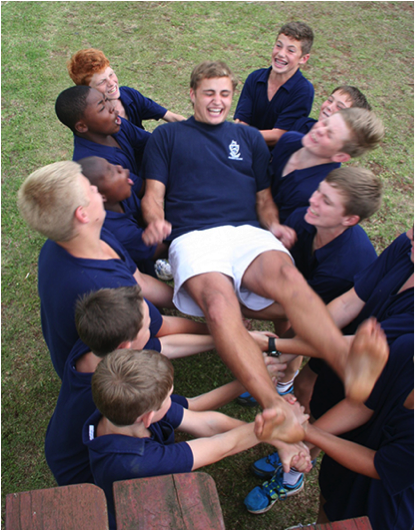 The Kearsney College Council represents the boys of the College. The function of the Council is to foster the ideals of the College, to promote pupil welfare, to act as liaison and to interact with other school councils where possible. The Councillors are elected annually. The Councils have regular meetings each term and office bearers are sometimes called on to represent the College at community events. Service on the Councils offers an important leadership opportunity for the pupils in the democratic structures of the College.